Shikilia Caro, a native of Northern New Jersey, who relocated to Texas in 1999, is an established financial services professional who provides every client with a legendary service experience. Armed with more than 19 years of experience in her field, Mrs. Caro has proven her ability to manage a diverse portfolio of clients. 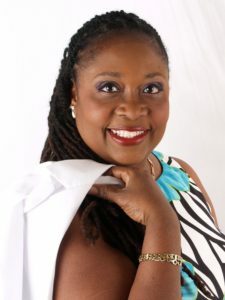 Her belief that knowledge is the key to a successful financial future has equipped her as a leader, trainer, educator, facilitator, coach, Licensed Real Estate Advisor, and Certified Probate Specialist. She has shared her knowledge and experience with others as a mentor and counselor for the National Association for Black Accountants (NABA), a mentor for Junior Achievement, as well as the VP of Public Relations with Toastmasters. She has also served as Vice Chair on the Ambassador Team for The Arlington Chamber and on the Steering Committee for the Arlington Women's Alliance. Additionally, she’s facilitated financial workshops for General Motors and Dr. R.W.G Stem Academy, to name a few. She continues her service to the community as a Rotarian, as a member of the Phased-In Foster Care Project, and as a member of the Board of Directors for RUN Women Cares. Shikilia began her love and devotion for financial services while studying at Berkley College. Her innate ability to understand each client offers her the opportunity to determine their individual needs, wants & desires. In an effort to diversify her knowledge Shikilia obtained her Texas Real Estate Instructors License to teach Real Estate Finance. Mrs. Caro’s background, travels, life experience, and commitment to excellent service, has helped her develop the best financial strategies designed to meet each client's current, and more importantly, future needs. Shikilia C. Caro, continues her journey to establish financially healthy families through one-on-one consultations, workshops and her upcoming book, "Wealth is a Mindset: Your Guide to Financial Success" scheduled for release late 2019. Growing up in the streets of New York City, Melanie has had several experiences with conflict. As a married woman, and mother of seven children, the ever-present conflict continues to pepper her life. However, once she became a Registered Nurse, Melanie found that her prior ways of dealing with conflict were not conducive to growing in her profession. Melanie began her career in the medical field as a receptionist in a doctor’s office, and has made her way up to her current position – Nurse Manager of the Flow Depot Clinical Command Center of the Hampton Veterans Affairs Medical Center (VAMC) in Hampton, Virginia. Registered Nursing and now has her Master’s Degree in Nursing Informatics. As a supervisor of the Clinical Command Center at the Hampton VAMC, Melanie has shaped the vision of her department, while creating and growing positive relationships with interdisciplinary teams throughout the facility. Concurrently, she has been instrumental in developing and fostering positive relationships with the local community healthcare facilities; a daunting challenge when surrounded by less than positive viewpoints of the Veterans Affairs (VA) organization. Melanie has been featured in the weekly Hampton VAMC publication Employee FocUS as someone who exhibits the VA’s “I CARE” values (Integrity, Commitment, Advocacy, Respect, Excellence). Melanie guides her interactions with conflict with the four “C”s: Communication, Clarity, Consistency and Compassion. Join Melanie in learning how to embrace professional conflict and use it to enhance professional growth and relationships. experience working with individuals and organizations developing well structured systems and processes that increase overall productivity. She honorably served her country in the US Navy and retired after a fulfilling and rewarding twenty year military career. Andrella has earned numerous awards, honors, and accolades with the most unique being one of the first three African American nuclear trained females to earn the rank of Chief Petty Officer in the history of the highly prestigious Naval Nuclear Propulsion Program. She is an Author, certified Life Coach, Master Training Specialist, Lean Six Sigma Black Belt, and a Credentialed Sexual Assault Victim Advocate. Andrella transitioned into the civilian sector with well over a decade of project management and Lean Six Sigma experience. She took her extensive leadership and multifaceted skill sets into the private sector and world of Project Management Professional (PMP). Andrella specializes in workforce development, process improvement, system development, emotional intelligence, team building, and long term strategic planning. For sixteen years she served as a nationally accredited Sexual Assault Victim Advocate providing victim-centered services to survivors with the highest level of support as they began their pathway to healing. Andrella is an avid believer of cohesion having created a Female Mentorship Community affording 1100 Sailors across various ranks, financial statuses, job fields, personal backgrounds, and work environments a platform of fellowship, growth, and empowerment. She is the United Way South Hampton Roads Board Governance Coordinator and serves on the Executive Team of the award winning United Way South Hampton Roads Project Inclusion Alumni Association. Passionate about the pathway to success, she shares her expertise with professionals so their businesses can thrive, helps individuals transitioning in life from a place of instability to a place of power, and helps those that meet her embrace the opportunity that lies beyond adversity. Andrella understands the need and answers the call to being a leader as an advocate for growth and change in the community by serving on the Board of Directors for Hampton Roads Black Chamber of Commerce, Clever Communities in Action (Virginia), and the Secretary for the Board of Directors for LifeSchool (Washington). She has a unique perspective with regards to personal success that matches her infectiously positive outlook and screams her belief that “Happiness Is a Choice”.